Tickets for 2019 are sold out. 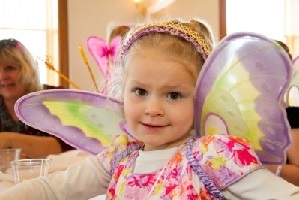 Fairy Tea is a lovely annual event for children 3+ and their parents or caregivers. 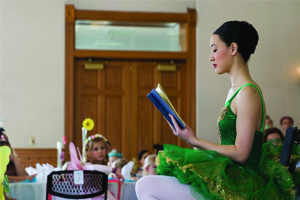 Children are invited to wear their best fairy finery and get to participate in a dainty tea party with live ballet, music, and other fairy fun. Tickets will be available for purchase Saturday, February 16 at 9:00 am in the Young Special Events Room (#201). 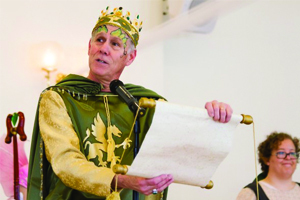 Tickets are available to Provo City Library Cardholders (or registered Orem Library Cardholders) only. Tickets are $5 each for both children and adults. Children must be accompanied by an adult who must also have a ticket. No infants, babies, or toddlers will be admitted to the event. 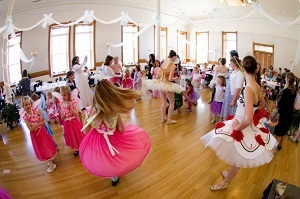 Sunday or Fairy best is required at the event. Limit 8 tickets per library card holder (you must show your Provo or registered Orem Library Card at time of purchase).